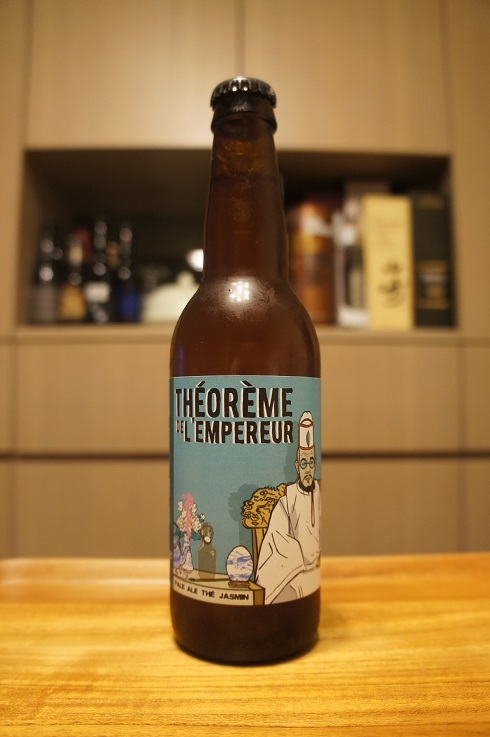 Brewer Description: (from bottle) Pale ale thé jasmin. Intro: A 330ml bottle with a best before date of 24th October 2019. Poured into a Lost Abbey teku glass. Appearance: A lightly hazy golden orange colour with a big three finger white head that had good retention and left lots of sticky lacing. 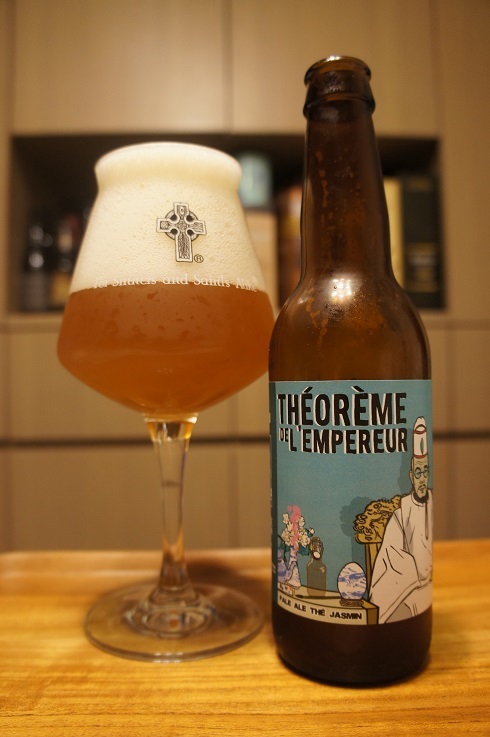 Aroma: Lemon zest, pear, tea, floral, jasmine and a touch bready. Taste: Lightly sweet, pear, tea, grass, floral, touch herbal and peppery, with a light bitter finish. Mouthfeel: Medium bodied with moderate but prickly carbonation. Overall: Aroma was nice, while taste was easy drinking.